Known as Krung Thep, which means “The City of Angel”, Bangkok is packed with loads of things to do as well as things to eat. You can go super extravagant or budget as you please, but either way, Bangkok will surely cater for all tastes. While Thailand’s top temples and bustling streets are obviously the main draws, you’ll be missing out if you don’t visit quiet neighborhoods and try local activities. Combining with a wide range of day trip options from Bangkok, you should definitely stay for more than a week in this capital city! The best city in the world for street food according to CNN, Bangkok has an astonishing array of street food options. 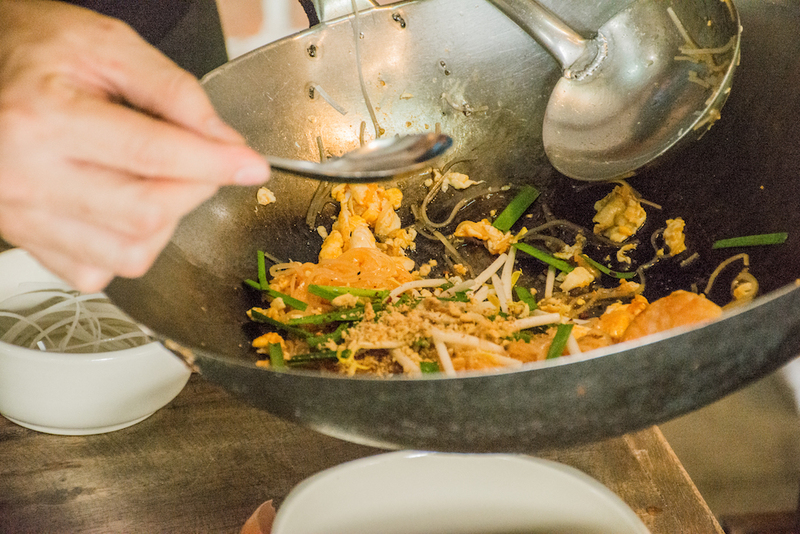 Thai street food is influenced by many cultures, from Chinese to Malaysian and even European. Yaowarat Chinatown and Rot Fai Night Market are hugely popular, but other neighborhoods like Charoenkrung and Thonburi have got their own specialties, so be sure to keep an eye out when traveling around Bangkok. While the local street food is world-famous, it never hurts to pay attention to things like stall cleanliness, for example. Look where Thai locals queue up and follow them for the high-quality street eats. Book a Chinatown Street Food Tour. 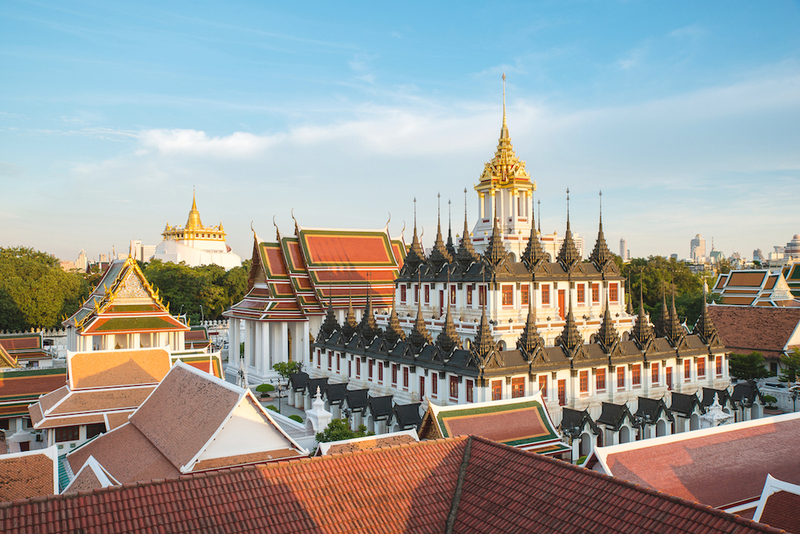 Bangkok is home to thousands of renowned temples, each one with its own uniqueness. Wat Phra Kaew (Temple of the Emerald Buddha) and the Grand Palace, Wat Pho (Temple of the Reclining Buddha) and Wat Arun (Temple of the Dawn) are the top three, but there are also much less crowded temples with jaw-dropping architecture. Take for example the Metallic Castle of Wat Ratchanatdaram and the Golden Mount of Wat Saket. Along with smaller yet charming local temples and others like Chinese shrines, mosques and churches, all these religious sites as well as folk Buddhist activities reflect the values Thailand holds. Regardless of your beliefs, visiting them is one of the best ways to understand Thai culture and people. Book a Bangkok Temple Tour. 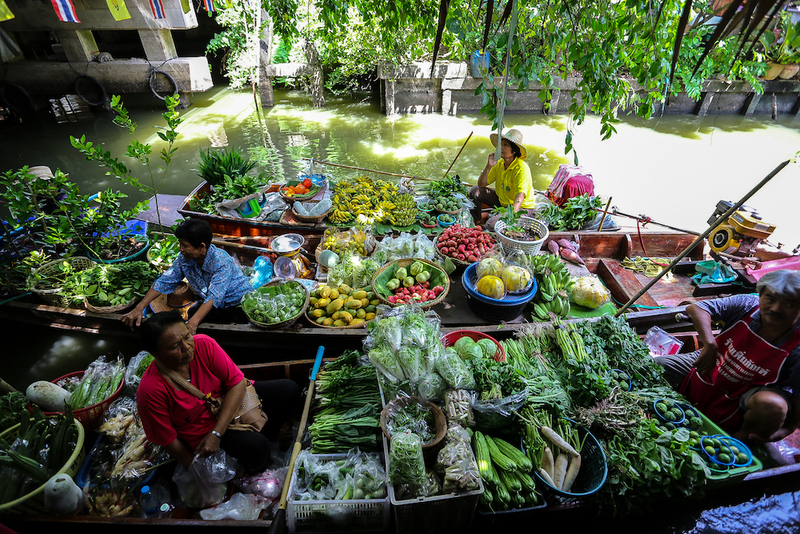 Floating markets are one of the ultimate Thai icons. Since rivers and canals were the highways that connected cities and villages in the past, boats were the main mode of transportation and floating markets the lifeblood. Nowadays you can still visit local floating markets and get a glimpse into the past. The scene of vendors selling products on boats is fascinating enough, but local food and crafts also await. While most people will think of Damnoen Saduak Floating Market in Ratchaburi and Amphawa Floating Market in Samut Songkhram, Bangkok has its own very local floating markets that remain under the radar. Check out Khlong Lat Mayom Floating Market or Taling Chan Floating Market for Bangkok’s rural charms. Book a Khlong Lat Mayom Floating Market Tour and Pad Thai Cooking Experience with a Local Grandma. 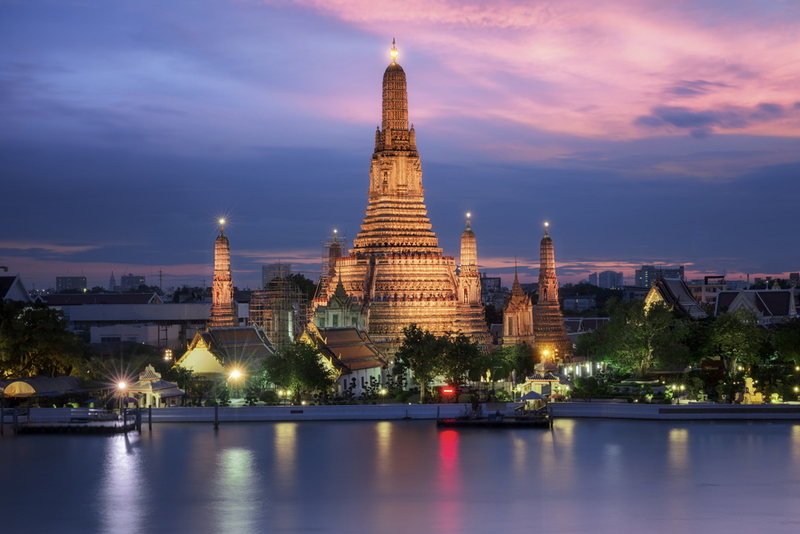 Bangkok is sleepless and even at night, you’ll find plenty of things to see and do. Apart from the obvious like tasting local street food and partying, you can go on a Tuk Tuk ride and see the other sides of Bangkok Old Town that not many people know of, enjoy Muay Thai matches and other glamorous night shows (Tickets available at special prices here) and so on. 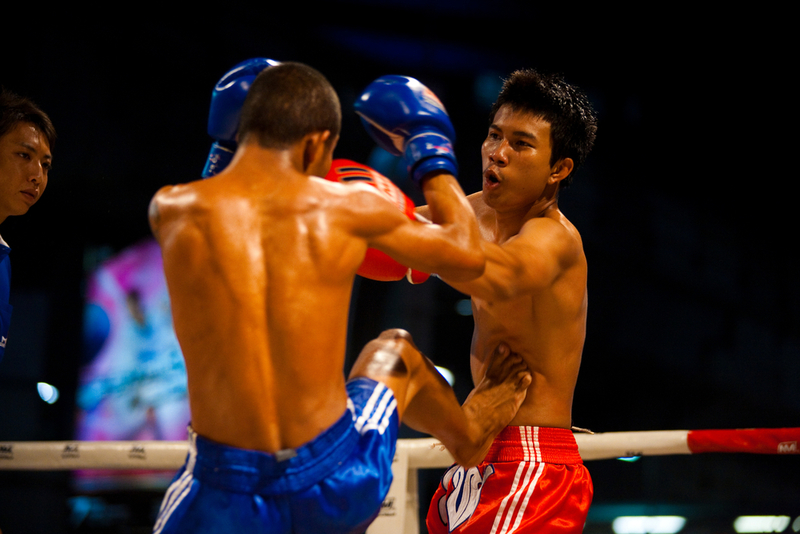 Book a ticket for Muay Thai matches and night shows . 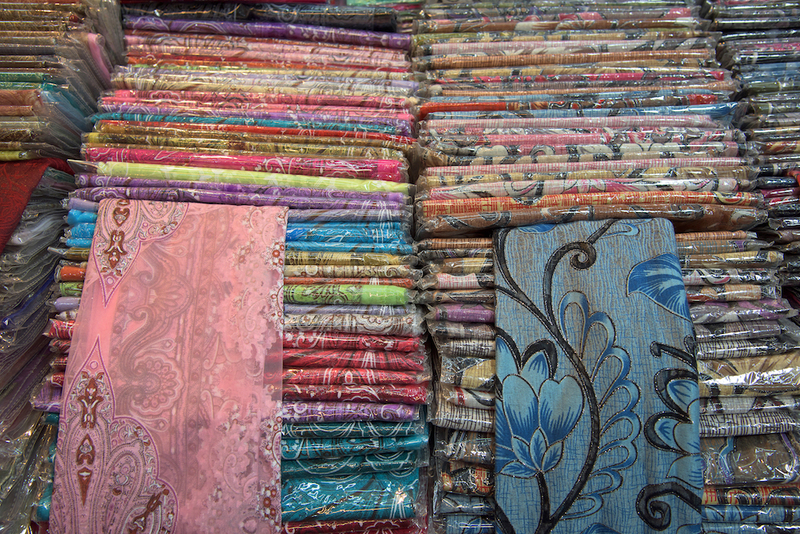 Bangkok offers a wide range of shopping experiences from super cheap to luxury. The word “super cheap” might make you doubt the product quality, but “budget-friendly” and “high quality” can belong together here. 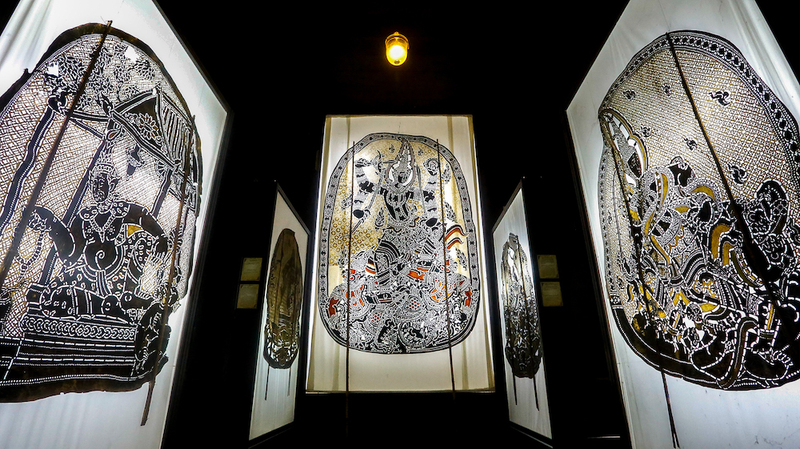 If luxury malls like Siam Paragon and EmQuartier aren’t your cup of tea, there’s always unique arts and crafts and a lot of other products at Chatuchak Weekend Market. Bargaining is more than normal there, so it’s one of the best places to shop for yourself or your loved ones. 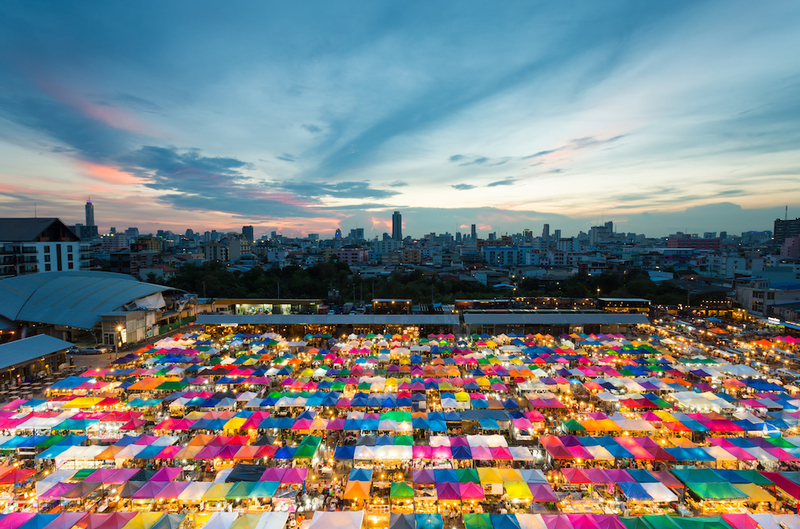 Book a Chatuchak Weekend Market Tour with Street Food Tasting . Thai culture is a blend of humility, liveliness and relaxation. Don’t miss the opportunity to try Thai boxing at Thailand’s iconic stadium, cook with locals, visit off-the-beaten-track neighborhoods or villages, go café hopping or even follow a ghost story to a spiritual location for an authentic Thai experience. Many locals open their homes for you and know all the places locals love. Book a Local Fisherman Village and Salt Farm Tour. Dive into the deep sea. Make a splash at Asia’s largest water park and Thailand’s biggest theme park. Cruise along the Chao Phraya River while enjoying a romantic dinner. Let your kids unleash their imagination at Kidzania. Tickets are available at special prices here. Book a ticket for family attractions . Go on a time machine ride and witness the glorious ancient kingdom of Ayutthaya with your own eyes. As Thailand’s capital for over 400 years, Ayutthaya is home not only Ayutthaya Historical Park (the UNESCO World Heritage Site) but also Bang Pa-In Summer Palace and the church-inspired Buddhist temple as well as traditional cotton candy crepes. 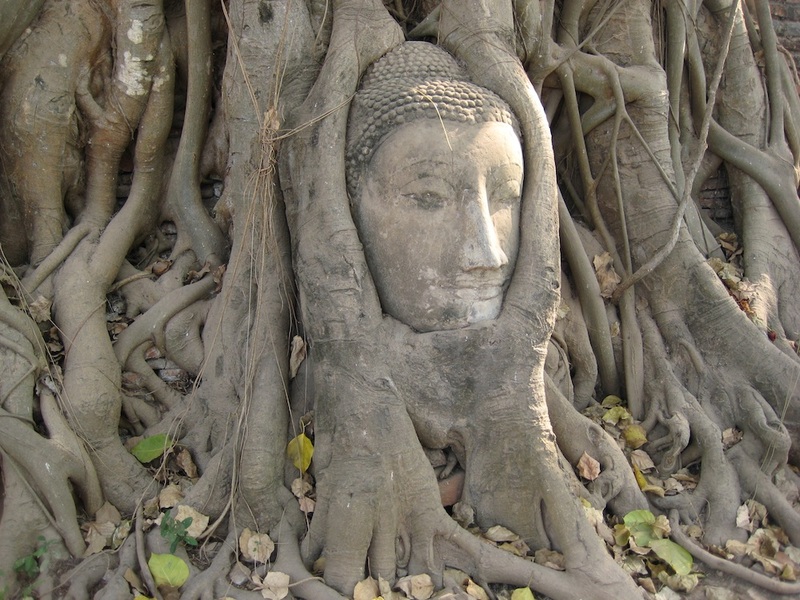 Book an Ayutthaya Historical Park and Bang Pa-In Palace Tour. Only about 30-60 minutes away from Bangkok (depending on your destination), Samut Prakan is a great escape from the hustle and bustle. 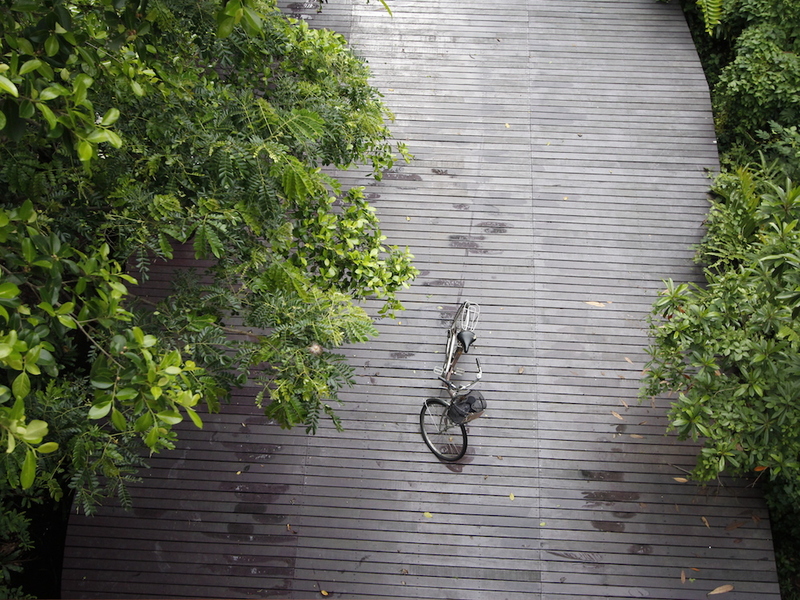 Bike around Bang Krachao (also called Bangkok’s Green Lungs and the Best Urban Oasis in Asia) and try a variety of art and craft workshops in the area, visit the fantasy-like Erawan Museum, get on board a naval ship, watch seagulls and sunset at Bangpu and more. There’s so much to do. Book a Bang Krachao Bike Tour with Bang Namphueng Floating Market and Joss Stick Making. A lush city of peace and quiet that has been through a tragic past during World War II. Today you can still cross the Bridge on the River Kwai, visit the Kanchanaburi War Cemetery, board the Death Railway and walk along the Hellfire Pass. If you love nature and local life, visit the 7-tiered, turquoise-colored Erawan Waterfall and the small town of Sangkhlaburi, where you can experience Thai and Mon cultures in one place. 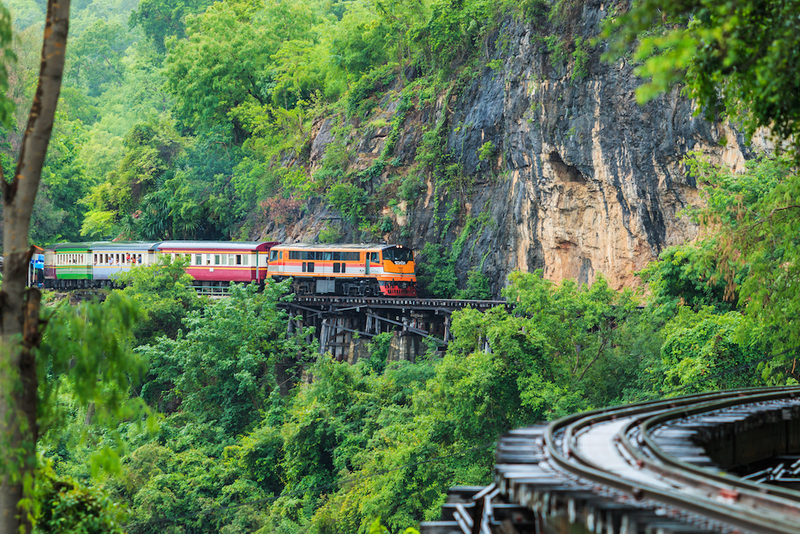 Book a Kanchanaburi Historic Tour with Death Railway Train Ride. 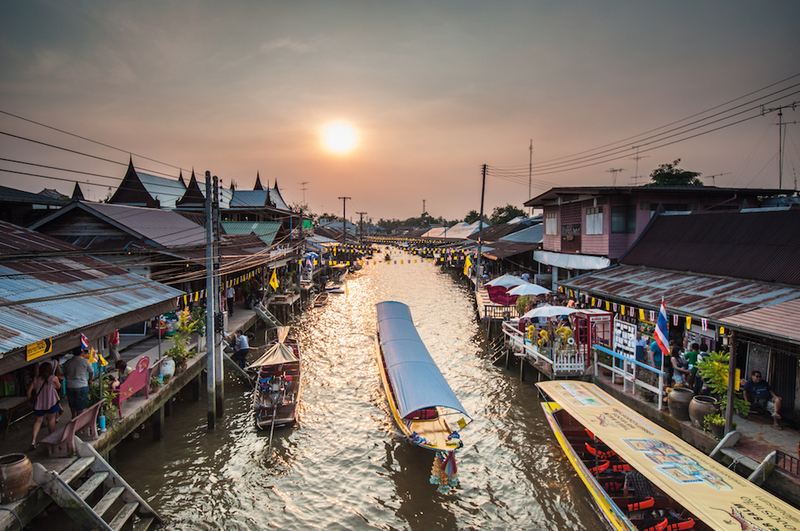 Amphawa Floating Market needs no introduction, but that’s not all Samut Songkhram has. Hop on a boat, watch the locals make coconut palm sugar, visit Wat Bang Kung or the Temple in a Tree and explore authentic and charming Tha Ka Floating Market. Maeklong Railway Market is a wonder with the train chugging straight through it and vendors swiftly packing away their umbrellas and stalls whenever a train arrives. Book a Tha Ka Floating Market, Wat Bang Kung and Maeklong Railway Market Tour with Boating and Coconut Palm Sugar Making. Most people think of Damnoen Saduak Floating Market and the iconic boat traffic scene, but Ratchaburi has a charming old town with century-old market and wooden houses as well as Thailand’s most famous Nang Yai (grand shadow puppet show). Book a Damnoen Saduak Floating Market and Maeklong Railway Market Tour. Pattaya might not be the most beautiful beachtown in Thailand, but its close proximity to a variety of fun attractions and shows (Tickets available at special prices here), the paradise island Koh Larn and other historic islands in Chonburi will make your trip worthwhile. 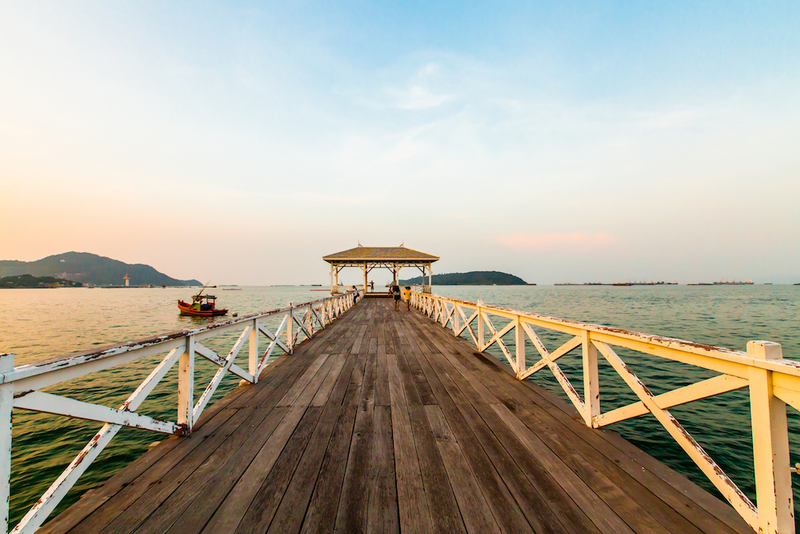 If you’re looking for a quieter beachside city, Chanthaburi is a great choice with loads of things to see and do like a multicultural riverside community and driving along Thailand’s most beautiful seaside road. Book a ticket for shows in Pattaya . The tiny island in the Chao Phraya River, Koh Kred, is only less than an hour from Bangkok and packed with local cultural activities. 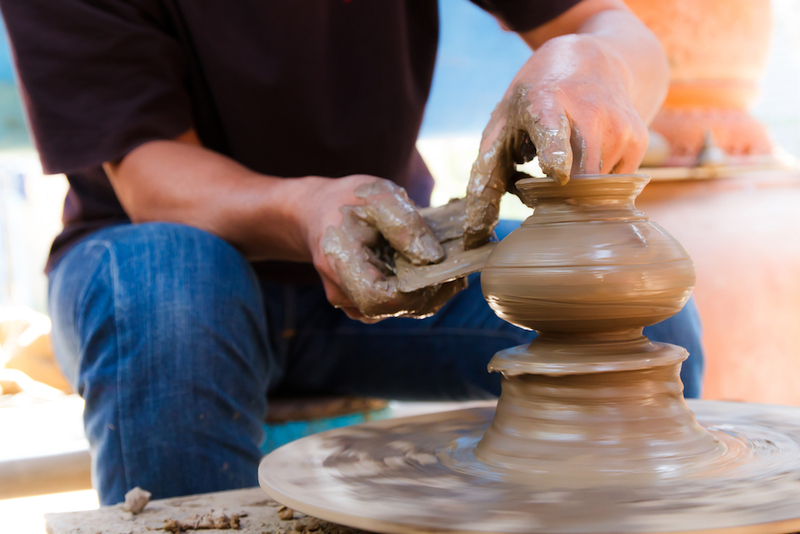 Visit local Mon temples and village to try pottery workshops as well as local food and desserts. 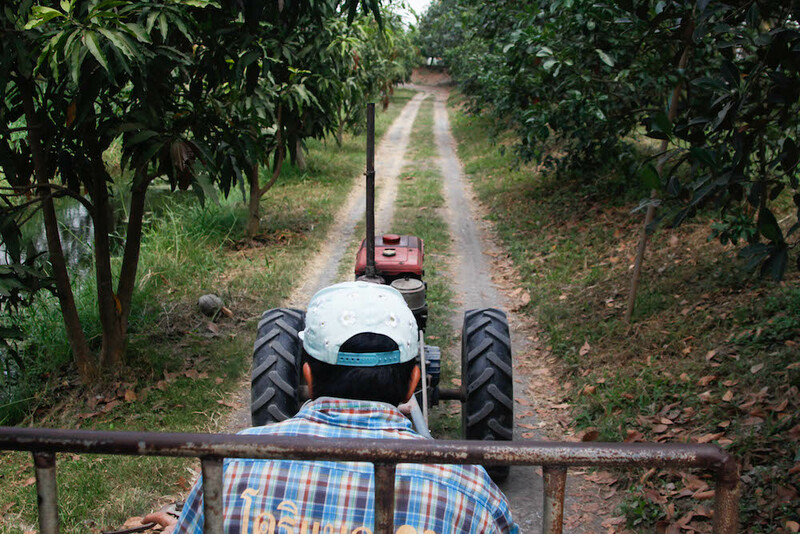 For those who want to visit a local durian farm or a local home, some local farmer families will be happy to show you around their estates and share with you their simple but beautiful ways of life. Book a Koh Kred Tour with Dessert Tasting and Pottery Making . Take a boat ride among lotuses, make Thai snacks and experience one of the best agro tours in Thailand at Mahasawat Canal local community. Visit the hidden ancient capital of Lopburi and meet the resident monkeys. Go trekking and say hello to the wildlife at Khao Yai National Park. All these are possible in just a few hours’ drive from Bangkok. Book a Mahasawat Canal Local Community Tour with Boating .